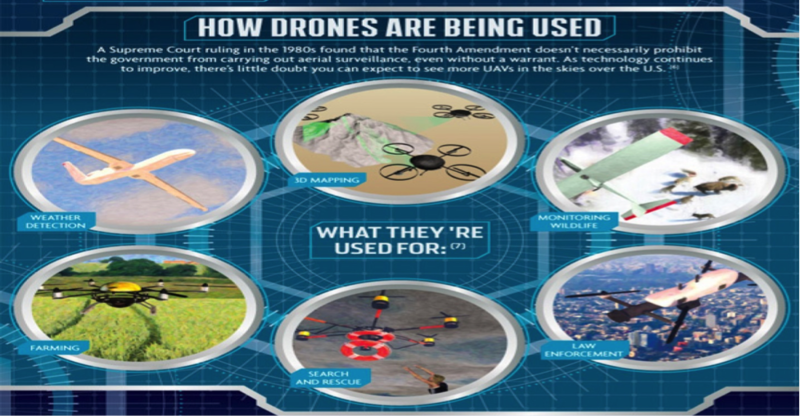 Drones are commercially used mostly for agriculture, environmental monitoring, search and rescue etc. by using their capability of visual mapping and photography. Extending this technology with miniature sensor technologies brings many other applications. Mainly drones can play a significant role in utility industry by identifying gas leaks and downed power lines. These small flying crafts can carry cameras, sensors and other small tools which can be viable solution for monitoring. Reachability: Drones can glide over the paces that hard for utility workers to get around. Increase safety: Drones can be safely landed to a place with high risk for human for example a methane leak. Also their speedy data supply can ensure prevention of potentially dangerous and damaging accidents. Cost reduction: Drones can be used as replacement for expensive inspections done with helicopters, drastically reducing the cost. Environmental friendly: The traditionally used helicopters consume much more energy and generate noise while drones silently give good environmental compatibility with no emissions. 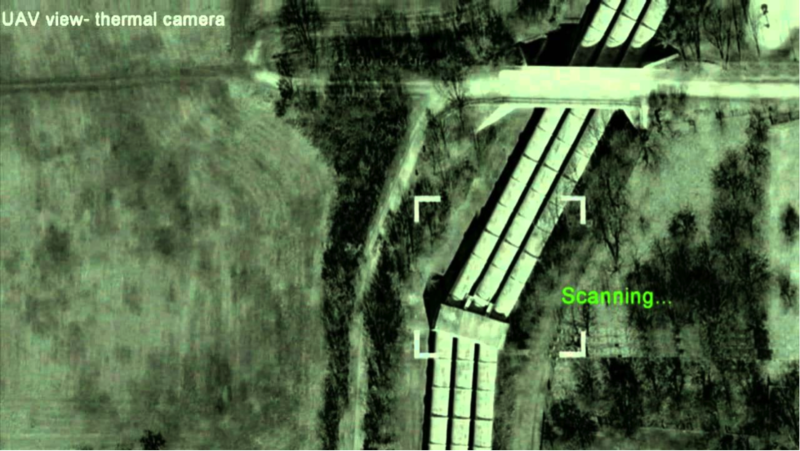 Following figure shows a recording view of a pipeline by using a thermal camera in a drone. 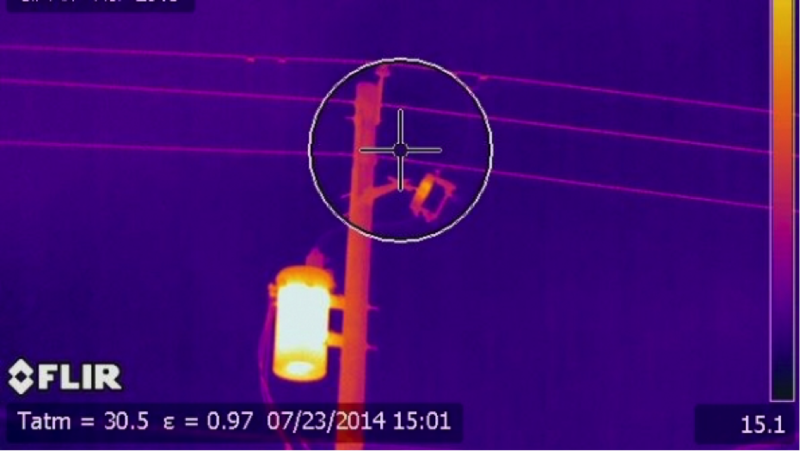 See as well this nice thermal photo with shows a example of how power line failures can be identified by using a drone, without climbing up the pole. Another application of these systems is Renewable energy sector. 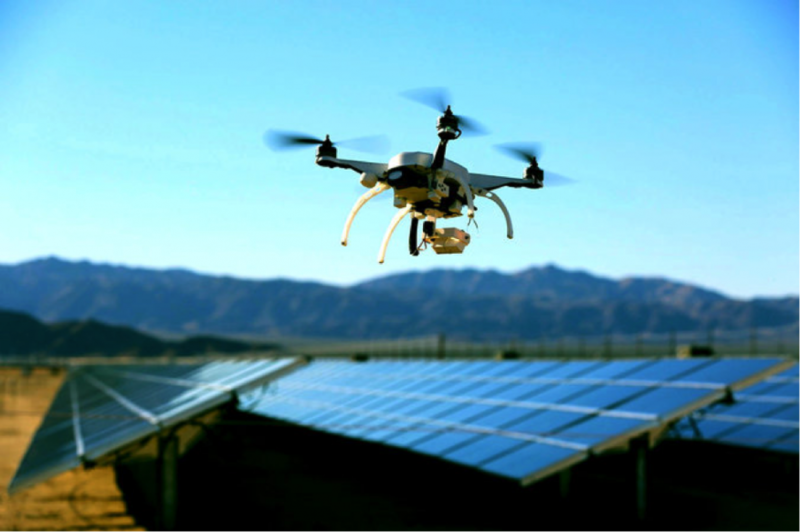 Thermal imaging camera mounted on a drone would serve as a good tool in thermographic applications like solar energy as shown below. The technology can be applicable both for routine inspections (preventive) and for surveying damages already occurred to the energy networks. In case of accident, the drones can be used for emergency assistance and once an initial overview of the situation is obtained, further actions can be taken. 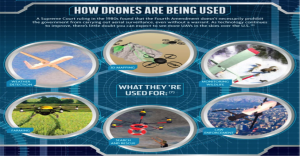 Further, drones could also be effectively used for the initial measurement of new constructions or reconstructions in utility industry which will enhance the efficiency and reduce the time. 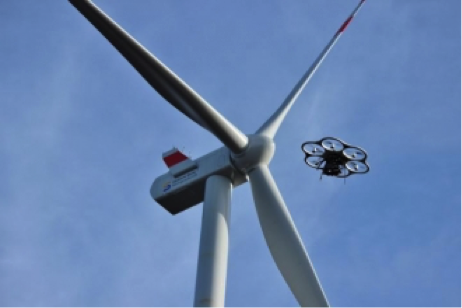 Moving to future improvements of drones, for example autonomous drones (that can operate on their own) will revolutionise the electric and gas utility industry. Already there are a number of fully autonomous drones available (eg. The senseFly eBee), that can fly over a pre-programmed area while collecting pictures. Most of electric and gas utilities have their systems mapped in a Geographical Information System (GIS). Then, it should not take much effort to upload the results of a circuit trace from a GIS to one of the autonomous drones. We love about new technology applications! Are you working in Engineering or Operations? What was your best technology project? Join our Community of Engineering talent!